Sequel due out worldwide in 2018. 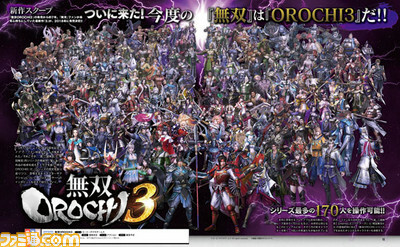 Original 05/08/18 at 5:12 a.m.: Warriors Orochi 4 will be released for PlayStation 4 and Switch, and feature 170 playable characters (the highest in the series), the latest issue of Weekly Famitsu reveals. In addition to new playable character reveals, Weekly Famitsu also has a look at various enhancements, including the new “Divine Art Action” attack method, and an interview with producer Masaki Furusawa. Warriors Orochi 4 will launch worldwide in 2018. Update 05/08/18 at 11:39 p.m.: A few additional details have come in. A PC version of Warriors Orochi 4 will also be released, albeit at a later date than the console versions in Japan. 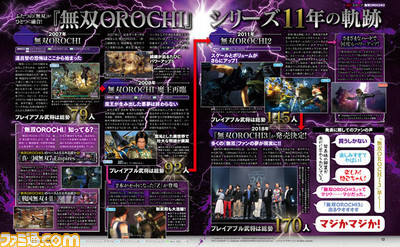 Of the 170 playable characters in Warriors Orochi 4, five are new and have still yet to be revealed. The enemy this time is Zeus. The five new characters are likely to be chosen from the Twelve Olympians such as Athena and Poseidon. The new “Divine Art Action” system adds new elements such as Divine Arts and Deification. Collaboration characters such as Ryu Hayabusa will not appear in the game. Update 05/09/18 at 12:35 a.m.: More details have come in. Summary: The heroes who defeated Orochi returned to the places where they belong. All of their memories were lost. However, their worlds will once again come together. The eight bangles are the keys to return to their original worlds. And it appears that Zeus is behind it all. What is his purpose? Equipping the sacred treasures enables the use of Divine Arts. These have various effects, such as attacks that round up several enemies. One of the new stages is in the style of the Parthenon temple in Greece. Collaboration characters will not appear in the game because the goal is to return to roots and greater depict the relationship between the Warring States and Sengoku periods. Yoshitaka Murayama is supervising the game’s setting and story. Orochi will be a key player this time. Orochi and True Orochi exist simultaneously. The details are still a secret. Familiar controls, like Square + Square, and Square + Square + Triangle, will return. By progressing through the “Deification” story, key characters will become available for use, and by meeting certain conditions during battle, their appearance and actiosn will power up. The game uses a three person per group system. Elements like Free Mode will be included. Share multiplayer (likely meaning one Joy-Con per player) is still under consideration for the Switch version, mainly because there is a lack of buttons. 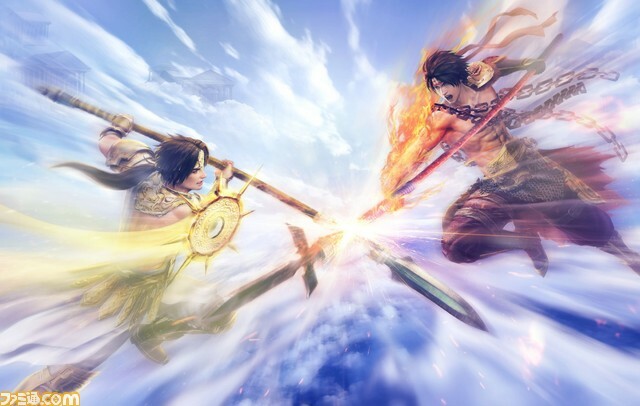 Warriors Orochi 4 is targeting a fall release in Japan. Development is currently 50 percent complete.